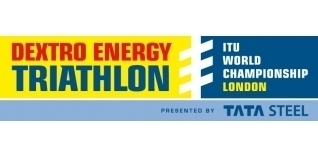 Taking place this weekend, 6th-7th August, the GE triVIEWER is covering the Age Group, Youth, Junior and Paratriathlon events LIVE at the biggest race of the year. The 2011 Dextro Energy ITU World Championship Series descends on Hyde Park as the much anticipated warm up race to next year's London 2012 Olympic triathlon. An army of 4,420 age group triathletes will also be racing this weekend and the GE triVIEWER will be on hand to capture all the action. triVIEWER is the new and free online tool that enables triathletes to visualise their races and compare their performances against the field, friends… or even opponents! Constantly updated race photos throughout the race! NOTE - Until the individual races are underway, there will not be any triVIEWER data to view!